In your curbside recycling bin. 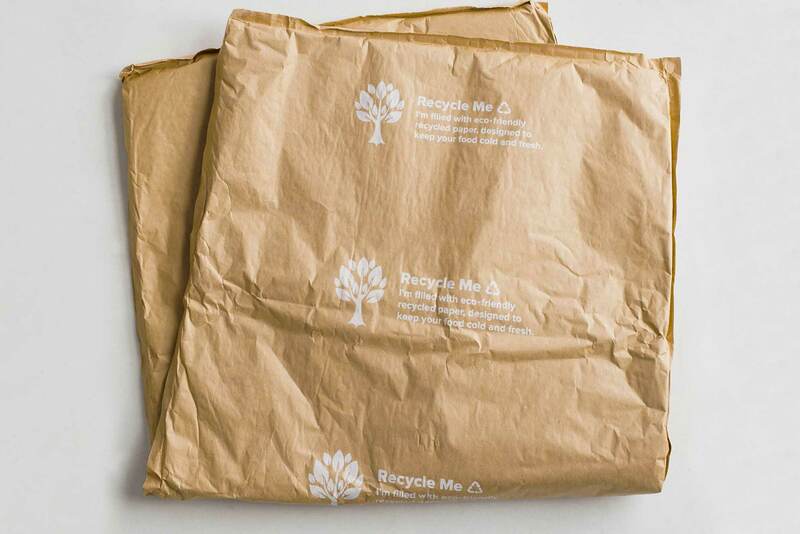 100% shredded recycled paper filling between two sheets of 100% recyclable kraft paper. In your curbside recycling bin. It’s recyclable even if it gets wet. 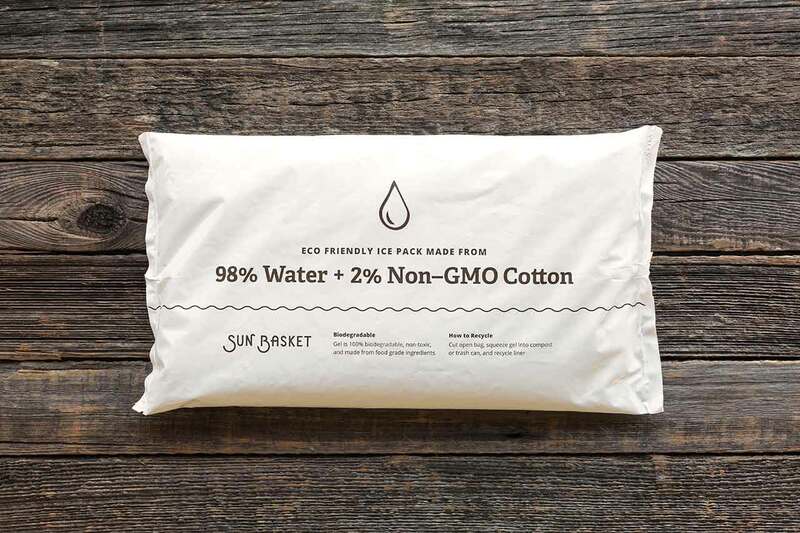 A gel that's 98% water and 2% non–GMO cotton. The liner is a #4 store drop-off recyclable low density polyethylene. 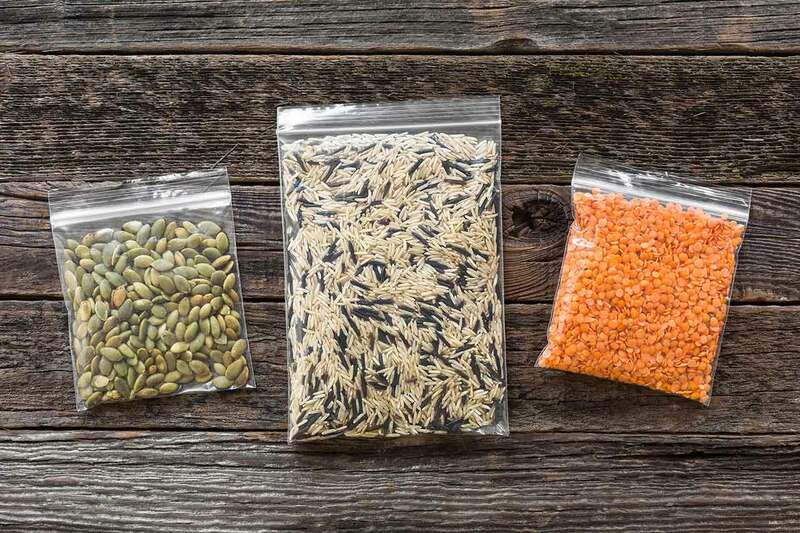 Cut open the plastic bag and drain the gel into your trash or curbside compost bin. The water will evaporate, leaving only the dried, compostable cotton behind. Alternatively, use the gel to water your garden. (Pro tip: Save your plumbing–do not pour the gel down the drain.) To process the liner, find a participating retailer near you who accepts store drop-off bags, wraps and film. #4 recyclable low density polyethylene. Make sure your recycling program accepts them. If they don't, find a place near you that does. 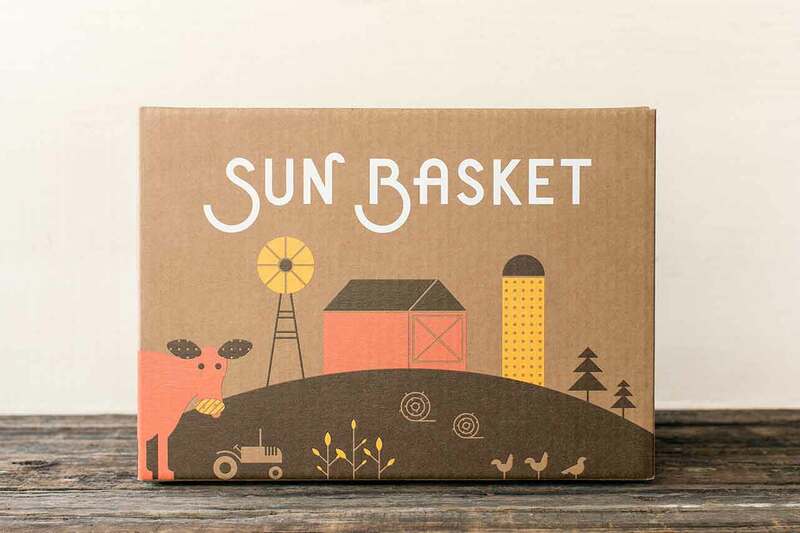 Look for updates on this page as we continue to introduce more new sustainable materials to your Sun Basket.